As you are probably aware, we have an extra camping day at the club next week. Camping and caravans are allowed on the club site from Thursday 24th August – Monday 28th August. Due to having the extra day we have organised some children’s activities. See info below. If you would like your children to take part in these days please email Naomi Smith to register your interest so we can accommodate all those interested. Please note that parents/guardians are expected to participate in all the activities with their children. Event: Two days of on and off the water activities for the younger members of the club. 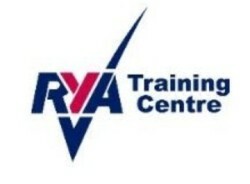 Vision: To promote interest in sailing, water confidence, build friendships with peers and encourage pride in their club. Plan: Children will be split into 3 groups of 6 children (Groups A, B, C) (on the assumption of 18 children taking part.) Each group will be of a similar age and ability. Activities: Session length 40-45mins with 15 minute change over. Group A: Teras/Session 1 – 6 boats one per child/buddy up or child/parental control. Group B: Mirrors/Session 2 – 3 boats. 2 children per boat/buddy up or parental control. On the water activities: Mini races/water football/balloon races/duck races/gentle learning to promote sailing. On Shore activity: Rigging/rope work/learning boat parts/drawing/quizzes/ puzzles all based on sailing and boats. Repeat Thursday 3 x 1hr sessions (Teras/Mirrors/Onshore) but different activities to Thursday. Kayak races, Water based games. Team sailing relay race – aka topper challenge/fun day style.